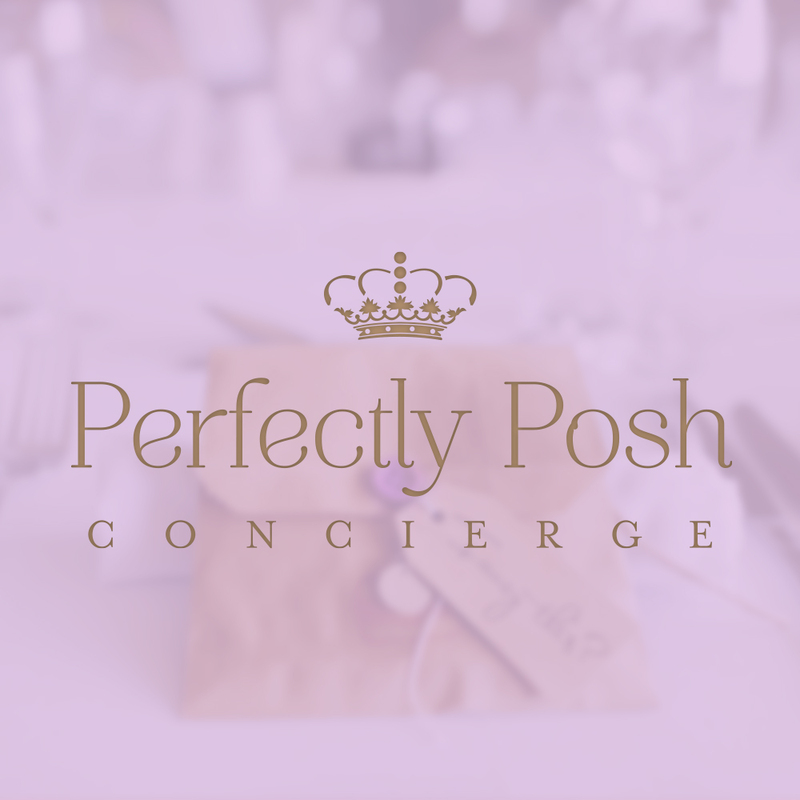 Kristy wanted to open a new concierge business that catered to an exclusive, busy-professional clientele with impeccable taste. She wanted this business to have an air of a sophisticated Anglophile. Kristy loves all things British and cheeky. 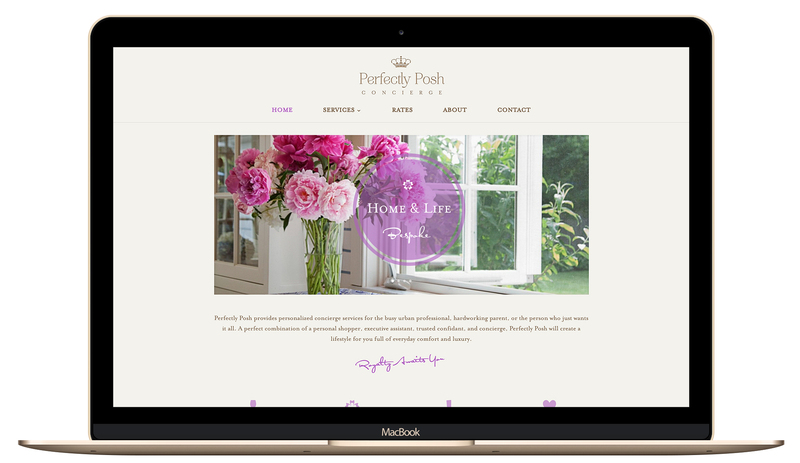 She needed high-end identity and marketing collateral so she could start her business. We designed an elegant visual identity for Kristy that included a touch of monarchy with a sweet crown atop slightly a serifed typeface. 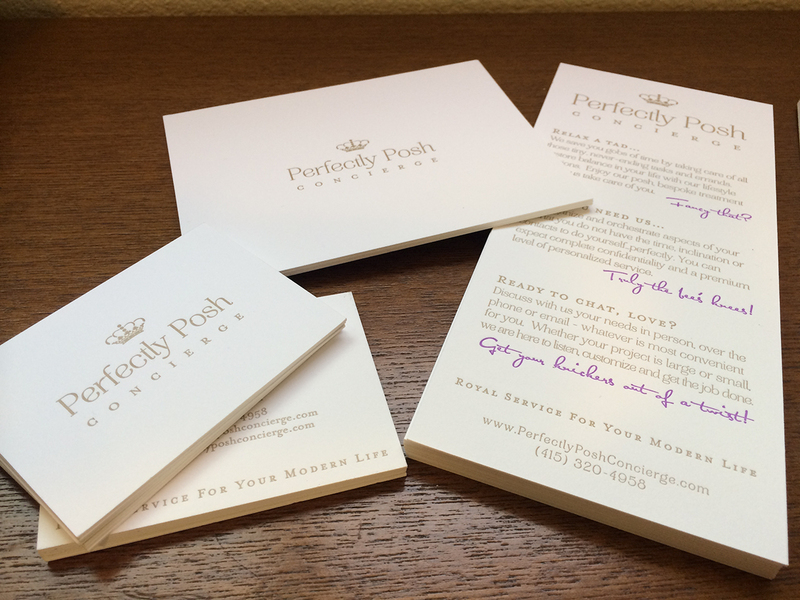 We designed magnificent letterpress business cards and menu cards on luxurious paper with just a pop of fun lavender. And we designed a simple website that highlights her services with a dash of cheeky humor. And you know what, sometimes prospective clients think she’s British! Mission accomplished.